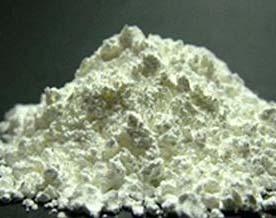 Samarium Oxide is light yellowish powder. It is insoluble in water. Samarium Oxide can be used in optical and infrared absorbing glass to absorb infrared radiation. It can also be applied as a neutron absorber in control rods for nuclear power reactors and as the oxide catalyzes dehydration of acyclic primary alcohols to aldehydes and ketones. Our Samarium Oxide (Sm2O3) is carefully handled to minimize damage during storage and transportation and to preserve the quality of our product in its original condition. Great care is taken to avoid any damage which might be caused during storage or transportation. Please send us your inquiry for Samarium Oxide (Sm2O3) Products to sales@edge-techind.com.